Of all the numbers that you should protect, your credit score is one of the most important. Your financial well-being depends upon maintaining a tiptop credit report. The information available on your credit report is utilized by various credit companies to formulate a credit score. This score is the make or break number that determines the loans you get, the repayment terms and conditions, and your credibility with lenders. Be advised that it’s important to check your credit report at regular intervals – not only when you are about to make a big-ticket purchase. Too many people pay scant attention to the credit reports from month-to-month. Did you know that your credit card provider likely provides you with access to your credit score and specific information that affects your credit score? In the United States, the big 3 credit reporting agencies including TransUnion, Equifax, and Experian offer 1 free credit report to clients per annum. It is important to get copies of these credit reports to check whether the information provided is accurate and up-to-date. Each of these credit bureaus offers you a free credit report every year – so you can space them out every 4 months to ensure that you are frequently checking your credit reports. By closely following your credit history, you will be able to stay abreast of any changes in your credit score. While your credit score is an important criterion when it comes to loans and credibility, it’s equally important to ensure the accuracy of the information found on your credit report. This includes basic info like your name, Social Security number, address, and the like. It’s essential to identify any anomalies in your credit report, and to report them to the necessary authorities. 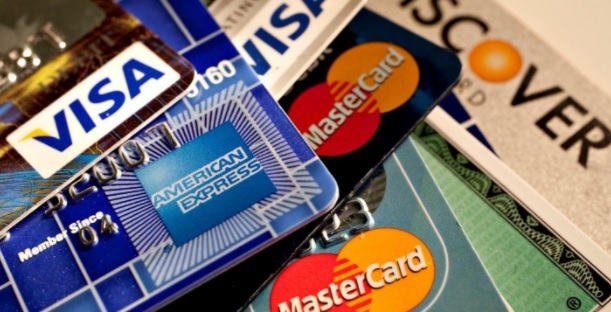 If different names exist on your accounts, this could adversely affect your credit score. Once you go through your credit report, certain inaccuracies may be highlighted. You may notice an anomaly on your credit profile. This could take the form of a store account, new credit card, mortgage, auto loan, and so forth. If you don’t recognize these accounts, report them immediately to the credit bureau. Fraudulent activity is an all too common occurrence, and the longer you leave it the worse your credit score will be. If you notice negative information that should have been removed from your credit report, report that to the credit bureau as well. Once you’re ready to make an application for a line of credit, you may wish to consider CreditLoan as a viable option to understanding your options when applying for a loan. It is common practice for credit card issuers to close accounts that have been dormant or inactive for a period of time. If these accounts have indeed been closed, it is important to ensure that there are no lines of credit associated with those closed accounts. If you are delinquent with one of your accounts, and it has been passed on to a credit collections agency, ensure that you don’t have two outstanding payments to make – to the credit card company, and the collections agency as well. If you spot an error, it is important to ensure that that error is removed from your Experian, Equifax, and TransUnion credit reports. If possible, contact the lender to correct the error as well. If there is a mistaken identity, contact all 3 credit bureaus to report the error.